Oil prices are going up, the economy is slowing down and Andrew Sentance says interest rates should go up – deja vu anyone? I don’t share the pessimism of many about the revolts in Tunisia, Egypt and Libya. So what if it is somewhat directionless and entirely unanticipated – that part of the world has tried foreign rule, autocracy, military and religous dictatorships and found them all wanting. Virtually none of these protesters are crying out for a return to or enhancement of any of those systems. It’s not a fashionable view, but I’m increasingly convinced that Francis Fukuyama will be proven correct that the end of history – i.e. that all paths will eventually lead to the least bad system – liberal democracy – because everything else is deemed to have failed. It is a question of time, albeit a long one. Optimist argument No. 1 – Libya is only 1.7% of world output and Saudi Arabia can easily close the gap. Wrong for the following reasons. The cut of crude that comes out from Saudi is high sulphur and harder to refine. Refineries are built to refine a certain type of crude and they can’t easily switch over. Although oil is a globally fungible commodity, this has a highly regional impact because most of Libya’s exported crude went to Italy, Germany and Spain. Even if Saudi cranks up production the oil will still have to be extracted, refined and transported. That takes time and would require a change of existing agreements. Optimist argument no. 2. The IEA will release up to 1.6 billion barrels of spare inventory which will keep prices down. Wrong again. If you reduce the cushion for supply disruptions by lowering reserves the market will price in higher risk and higher prices. The real question is who can lift supply and immediately? Answer – no one really. Optimist argument no. 3. OPEC are sensible enough not to drive the world economy into recession and will quickly agree to lift production. Even more wrong. OPEC have a terrible record of controlling prices – they can’t – and they are not slated to meet to discuss new quotas until June 2nd 2010 in Vienna. And that’s assuming that they would agree in the first place about what an acceptable price is and not cheat on their quotas. This unrest also has long-term implications for the investment risk models of the sorts of long-term fixed capital projects needed to meet future oil demand. Typically it’s a 10 year gap between oil discovery and bringing it to market. I wonder how much money is going to be written off in Libya? Of course, this is a one-sided post meant to take issue with received opinion. I’ll be balancing it with a grounds for optimism angle later in the week. Back to earth with housing . . .
As the first UK-based think tank with a space programme, last week’s event we organised on the UK Space Economy created quite a buzz, more than a few tweets and some very interesting follow-on content about the Isle of Man’s burgeoning space services sector. Thanks again to Jim Bennett for a superb talk. So if you can forgive the pun, please watch this space for more to come. In the meantime, housing – i.e. the price of it – is firmly back in the news again. House prices are a national obsession and so news that asking prices for homes in England and Wales jumped 3.1% over the past month made a big splash. Over the last few years, forecasts have been even more out of line with reality for housing than the big macro indicators – inflation, growth and unemployment. So what’s going to happen? The paradox of the housing market is that almost unlike any other commodity, when prices start to fall, supply contracts as sellers take their properties off the market and start to rent them out instead. According to Rightmove, today there are 1.3 million homes for sale, but just 530,000 mortgages were approved last year. I really don’t see that improving over the next couple of years. I fear we still have a long way to go until the banks return to full financial health. And we’ll almost certainly never experience a 10 year doubling of prices ever again. News just published by Aviation Week that Astrium is teaming up with Singapore to build a suborbital demonstrator and hopes to ultimately have a fleet of spaceplanes stationed there speaks volumes about not just the audacity inherent in New Space, ambulance but the radical internationalisation and increasingly dynamic role of the private sector. As the innovation accelerates and the costs fall, viagra one can expect to see a lot more synergies involving – wealthy semi-microstates, billionaires, cash-poor state owned space agencies and dynamic private space entrepreneurs from all over the globe. Petrol going up, gas prices still falling . 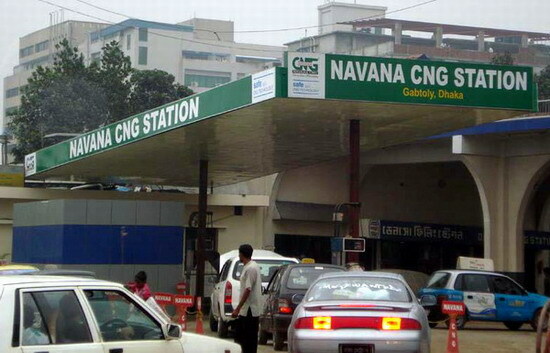 . . CNG vehicles on the way? Many British motorists are deeply unhappy about paying £1.30 per litre now for petrol and whatever they say, our politicians aren’t going to do anything about it. So what will be the market response? The background to this post’s theme is that the supply of natural gas keeps increasing and the price is gently falling at a typically high demand part of the year. The decoupling of oil from gas prices, thought impossible a few years ago, has already happened in the USA and is starting to kick off here. And be under no illusion, the consequences are huge. As gas emerges to become like oil, a globally fungible commodity, sold at the same price all over the world, new uses for natural gas are going to be found. Starting with high growth in Compressed Natural Gas (CNG) vehicles. I don’t have the latest figures but it seems there were 7.8m CNG vehicles worldwide early in 2008 and 11.2m by the end of 2009. That’s what I call rapid growth. And Pakistan with 2.3m, Argentina with 1.8m and Iran with 1.6m vehicles are the unexpected leading adapters of this technology. For the cash-strapped British motorist, there’s still some way to go though before we seem CNG refuelling stations like the one above and a flourishing cottage industry of CNG conversion garages. Not least in convincing policymakers that installing electric charging points for short-range electric vehicles all over the country with public money is going to be a lot more expensive. At the end of last week, the US price per million british thermal units of natural gas was $4.22 whereas the equivalent price in Britain was $8.49.